Re-written USB Mass Storage support. 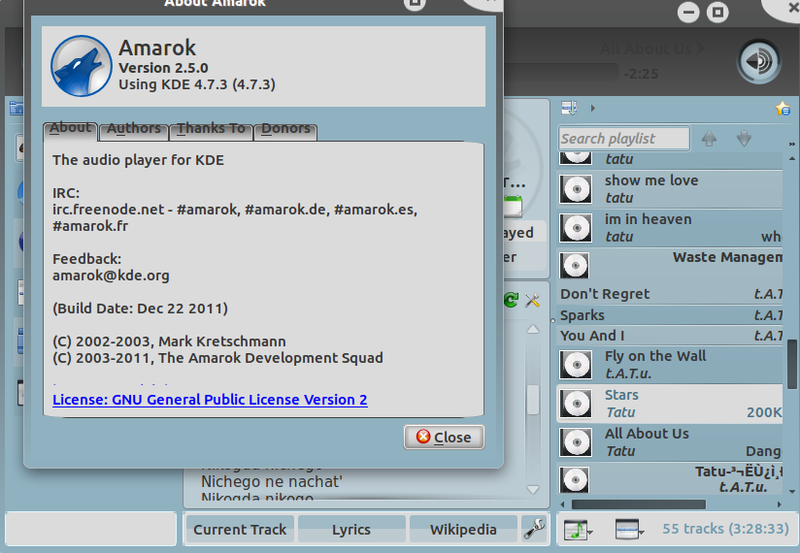 The Windows version of Amarok is now officially declared stable. Many bugfixes to the iPod plugin, thanks to Matěj Laitl. An integrated Amazon MP3 store. This major feature is the work of our web-entrepreneurs Sven and Justus. More changes and bugfixes see the release note. No user responded in " Install Amarok 2.5.0 in Ubuntu 11.10 Oneiric via PPA "